Weekend Project. 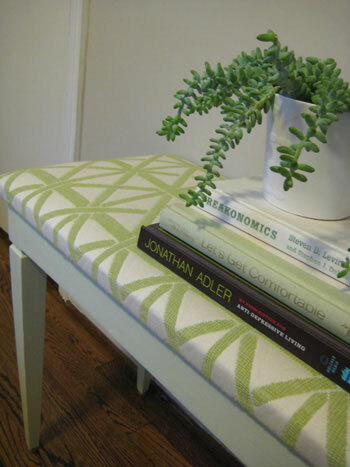 Re-upholster that bench in your hallway. Home → DIY → Weekend Project. 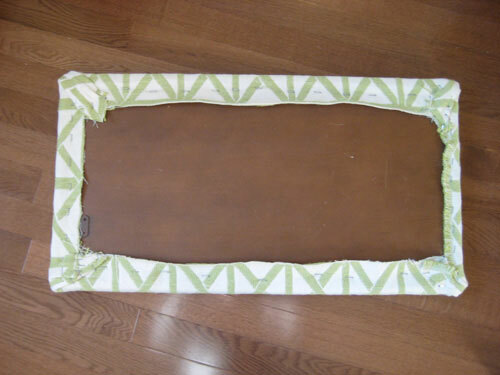 Re-upholster that bench in your hallway. People-Your not doing anything else! So why not incorporate some home improvement into your weekend! 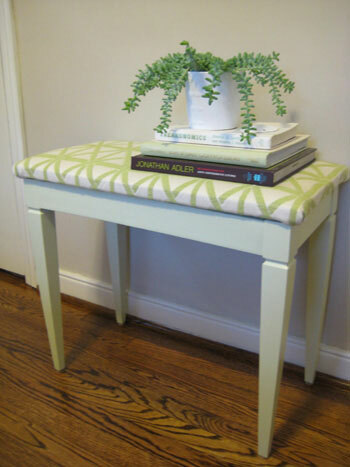 Ganked these instructions straight from young house love; this little guide will show you how to re-uphoslter and refresh your hall bench, this weekend! 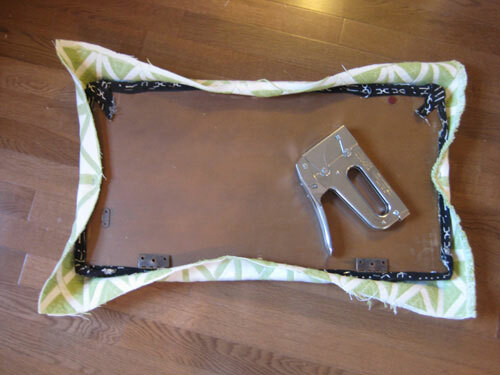 We cut our piece of fabric with a few extra inches on each side so we could shift it and check it out from the front to be sure that the lines were straight and centered looking before we whipped out the $12 Home Depot staple gun. We secured the fabric to the bench by pulling it tight and stapling it at the 12 o-clock, three o-clock, six o-clock and nine o-clock position. This keeps everything centered and in place (instead of stapling in a clockwise motion, which tends to allow fabric to rotate as you rotate, resulting in a bit of a twisted and unbalanced final product). We layered the new fabric right over the old fabric since the cushion underneath was in great shape and we didn’t want to tear out the old fabric and risk ruining the plush little form of batting underneath. 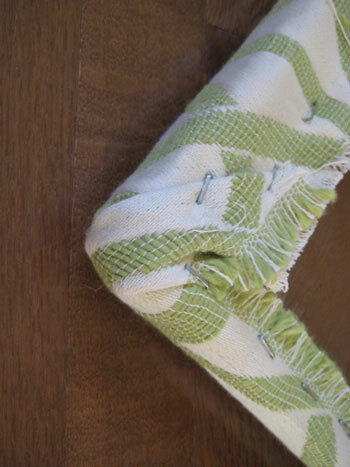 After securing your fabric in the middle of each side with one staple, going around the perimeter of the piece and adding more staples all the way around takes about five seconds. And you’re left with something that looks pretty darn good- and that’s just the back. When it comes to the corners, folding them like you’re wrapping a present (and checking that it looks seamless from the front) is the way to go. It usually takes at least two darts and two staples, so don’t try to do it all at once. 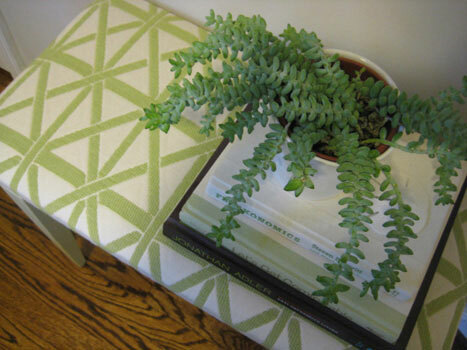 Slow and steady wins the corner-upholstery race. And the great thing about this process is that you can always pop a staple or two out with a flat head screwdriver if you want a do-over. Which practically guarantees a flawless finished product. Here’s our bench all put back together. Isn’t she a beaut? I wonder how many people laughed at that pathetic little $7 thrift store bench before we rescued her! Here’s a top view to show how we did our best to center the fabric both left to right and top to bottom before stapling it in place. See the center line that runs down the center of the bench? And the stripes on each side that hit about a half inch away from each edge? It’s those little details that make it look clean and profession. Not at all like an afternoon project done on a serious budget. Thanks for posting Young House Love; and I hope this re-post comes in handy for you this weekend!